It's all here! 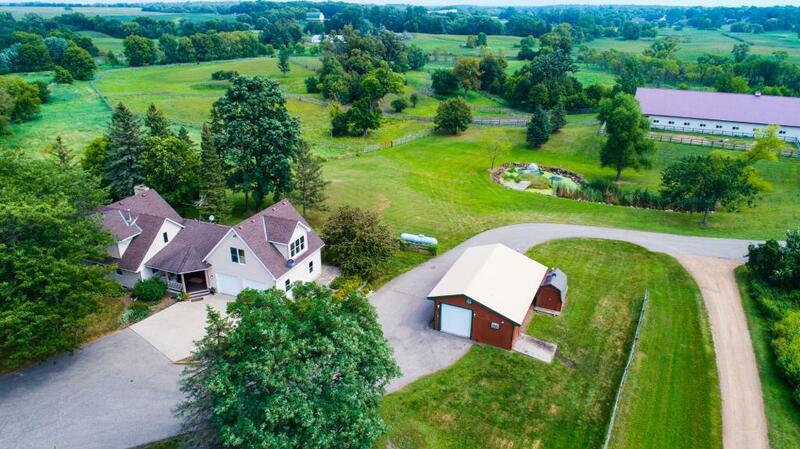 80 acres, privacy, pasture, tillable, lowlands, mature trees & a nicely updated 4BR, 3BA home w/tile & hwd flrs, hot tub room, master BR w/wood burning fplc & MF laundry. 72x160 insulated Lester bldg w/50x160 arena with 9 matted stalls, tack & feed rooms. Other bldgs include a 36x20 storage bldg, 40x20 insulated shop w/infloor heat, drain & hot/cold water & 24x20 grain bin w/loft - all w/power. 3 pastures, 2 paddocks, wood fencing, rolling acreage, mowed walking trails & more.